I’m Hari Ghotra, an Indian cook and author. 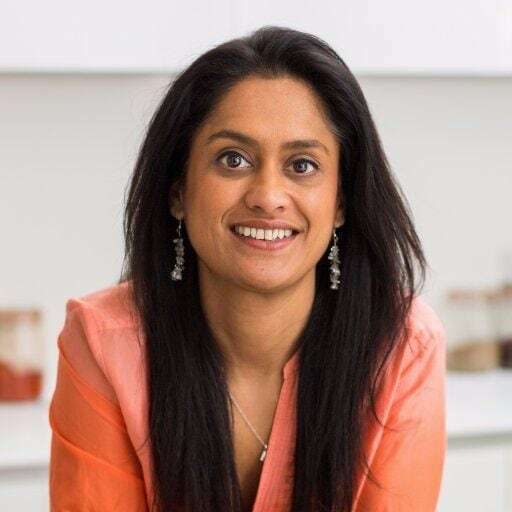 I have spent many years teaching others about how to put great Indian food together through cookery classes, with the recipes on my website, my videos on YouTube, my curry kits and my books. I am the founder of the biggest Indian food platform in the UK across all my channels and love what I do. 2) Tell us more about the inspiration behind harighotra.co.uk? Everything I do is to help others cook great Indian food better! The website was born after many years of doing cookery sessions in people’s homes to teach them about how to cook fresh Indian meals from scratch. I realised that the love affair the UK has with Indian food was still very much alive but now people were desperate to understand how to cook the dishes from scratch in a healthy way at home – just the way my mum made it. 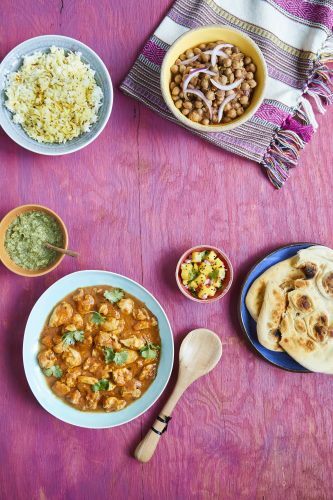 I was struggling to meet the demand for my classes and provide everyone with the detailed information they wanted about the vast topic that is Indian food. The Hari Ghotra website was born in 2014 as a way of providing my cookery classes through a digital platform that made it easy for people to cook fresh and delicious Indian food with me. The videos that accompany the recipes are created in 2 ways. The long videos to watch with interest and the short step by step videos to cook along with. There are hints and tips, information on ingredients and so much more. Social media has been vital in spreading the word and getting people to the website and to cook the great recipes that are available. From the recipes and the classes, it became apparent to me that we need to educate people about the process of using spicing in their food, why and how you use spices is so very important in Indian cuisine so I developed the curry kits which are all about educating and helping people cook from raw ingredients rather than jars or sauces. There are a range of 12 dishes you can choose from and each pack contains individual portions of the spices required and a detailed method to educate the consumer as to how you add spices to your dish. Each kit is also backed up with a video so you can have me in your kitchen cooking with you. This year I launched the Hari Ghotra app where you can use the recipes, videos but also interact with my community of Indian cooks who love to share their thoughts, pictures and ideas. My first cookbook ‘The Easy Indian Slow Cooker Cookbook’ came out recently too which is something I am very proud about. 3) What do you love most about Indian Cooking? I think it’s quite simple – I love to eat but more than that I love to cook for other people. I love to share dishes and I love the feeling it gives me when someone enjoys the food I cook. I love using spices, they are magical little things that can totally transform a dish. They can be used in so many different ways to add different aromatics – whole, ground, roasted, boiled. The health benefits they have locked inside them are mind blowing too! 4) How do you see harighotra.co.uk developing in the future? We are now the biggest Indian food platform in the UK. We have been visited from every single county in the world and we have people who come back to us over and over again for inspiration, to learn new skills, to look at the pictures and to share the videos. I want that to continue and I want it to get bigger and bigger. Bonus Recipe: Old Delhi Butter Chicken, taken from Hari Ghotra’s new cookbook ‘The Easy Indian Slow Cooker Cookbook’, which you can order now.